Tell us a bit about yourself and your Dubai journey. My name is Latika , I am an interior designer and a trained horse rider. I love to dance and socialize, I am currently working for a real estate company and Dubai is home. I love the city and the people. I have done my schooling, university and spent most of my time here. I travel a lot to different places and there is no place in comparison to Dubai. 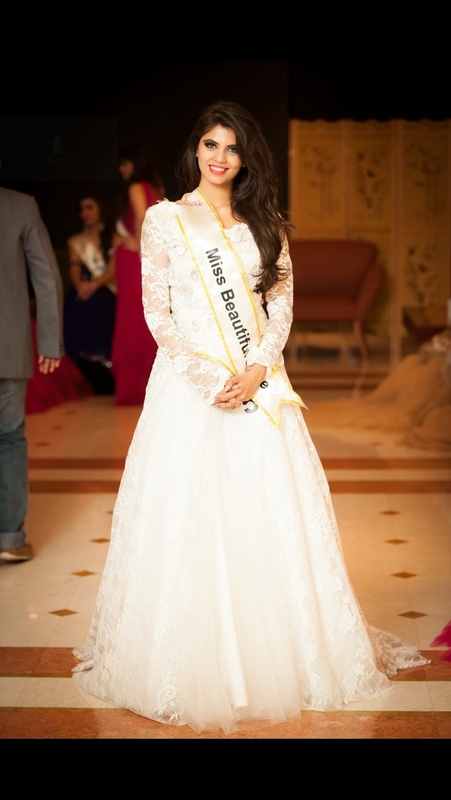 How did you first hear about Miss India UAE and why did you apply? Miss India UAE… I first heard about it from a good friend Sanna Monga. She is the winner of last year. I applied because I love modeling and I have done assignments before, I knew that I had it in me. I am a big fashion and Bollywood fan, I just love the glam world and I believe that suits me the best. I know that I will be in the glam world in future. What was the journey through Miss India UAE Like for you? It was the best experience of my life. I made many friends and we were like family. No grudges, no fights, is a rare thing to happen in pageants but this pageant was so unique. At last it felt like who cares who will win. We love each other that’s what matters now. What were your top 3 highlights? I loved the dance group which trained us for the dance in 2 of my favorite songs – chitiya kaliya and lovely. Also the makeover was fantastic they changed my look and I loved it, they gave me a beautiful classy haircut . And of course I loved the photo shoot… I guess that was the best. The dresses had flown down from Mumbai, they were designed by a huge designer and so heavy! I would wear them and do shoots and the picture just turned out to be magical! What were you top 3 down falls or negatives? To be very honest with you I had to practice with my catwalk every now and then I thought I would not be able to do it properly because of the heavy dresses and the 6 inch heels. So in between I would trip and get nervous but practiced a lot before the show and that went perfectly. Apart from that no other negatives, everything else went better than perfect. What did you learn from Miss India UAE? I learned to be a lady. Smart, intelligent, maintaining a good appearance – dressing good, being polite to others. Loving each other no matter what. They groomed us very well. I felt if I need to represent my country at any point of the time, I would be ready, just smile and do my cat walk in a nice Indian attire and just be bold and speak with no fear. I feel I gained confidence. Well I wish we could get more pictures from the shoot as the pictures came out so good. Everyone got a western and an Indian look picture and of course that is good enough but you always want more! What is your advice for future Indian applicants? I would say that please try this pageant, give it a shot and believe in yourself. It’s a harsh world out there for models but you always need to smile and hold your head up high. Just Love yourself and others and you will get through. What do you love most about the UAE? What are your top 5 tips for tourists? Dubai is HOT – so have your water bottles at all times. Make sure you are wearing sunscreen. Dressing is not very strict here but you need to be dressed appropriately. Try to buy your souvenirs from small shops rather than malls. Good areas they will be expensive, so come with a decent budget. Of course during Ramadan no eating out but takeaway from food courts is possible. What are your top 3 must do/see in Dubai or the UAE in general? Tourists who are coming to Dxb need to stay here for a good amount of time. This place has a lot to offer such as the traditional side and the modern side. Of course for the traditional you have the bastakiya and the old dubai. You must see the gold souk and have an Abra ride, that would take you from bur dubai to Deira and vice versa. Don’t miss the desert safari. To see the modern side of course Downtown Dubai is a must – at the top from Burj Khalifa and the beautiful sight of dancing fountains. The lovely fresco cafes and restaurants are a good place to go with friends and family. Then you have the palm , jbr, marina and so much more! Wow! What an inspirational and unique view, we hope you reach your dreams and desires Latika! 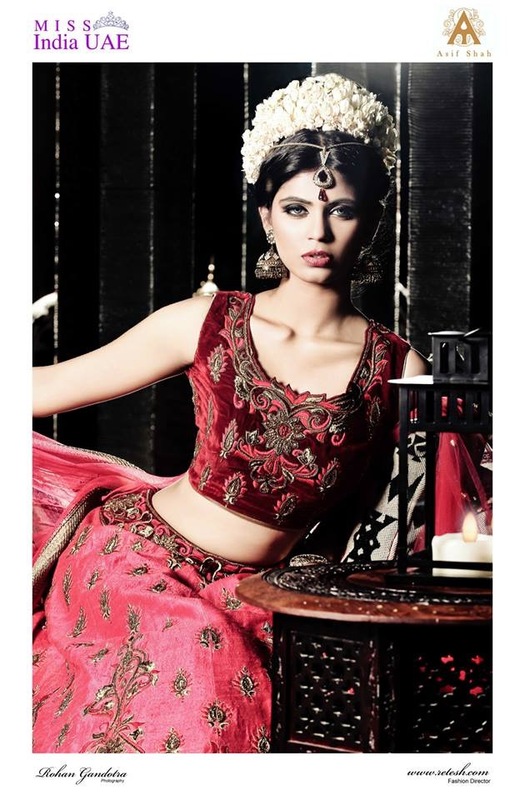 here is one of her fantastic images in the Indian Attire!